We will display in "automechanika 2011 Shanghai"
We here at TRIENS are pleased to announce that we will participate in the upcoming Automechanika 2011 Shanghai. This is the largest auto parts exhibition currently being held in Asia. There will be 120 or more auto manufactures and as many as 2000 parts makers represented as well. We have received an enormous response from this exhibition in the past. In addition to showing our best-selling products, we will display reels for car washing, waxing and body coating, as well as models to clean the inside of the vehicles. This category is doing remarkably well in China. 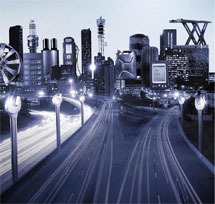 We look forward to seeing you at Automechanica 2011 Shanghai.